Richard worked as a senior lecturer in Horticulture, Garden Design and Landscape Management in Higher Education before training to become a homeopath at the Hahnemann College of Homeopathy, qualifying in 2006. 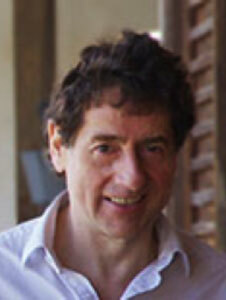 It was witnessing the amazing healing powers of homeopathy that inspired Richard to retrain. He chose Homeopathy because it is a form of energy/vibrational medicine that promotes the body to heal itself, working on the physical, emotional, mental and spiritual planes, so can, therefore, be used safely alongside conventional medicine. Dis-ease is the body’s way of telling us something is wrong and how it needs to be treated on an individual level. Richard is a great believer in finding the cause of the problem and treating it accordingly. Richard uses Homeopathy as a powerful tool for the treatment of emotional problems, which often give rise to physical conditions. These emotional problems are all too common in our fast-paced, pressure-ridden modern society that we live in and, in some cases, can be passed on by the parents, even to the foetus whilst in the mother’s womb. As well as Homeopathy, Richard also offers EAV allergy testing for air-borne and ingested substances and spinal mobilisation using the advanced Theraflex system. Richard is a full member of the Homeopathic Medical Association abiding by their strict code of ethics and a professional member of Backcare. Richard uses a holistic approach for individual conditions by using or combining homeopathy, EAV allergy testing, kinesiology and the Theraflex spinal mobilisation system.